But first, let’s look at exactly why your nails aren’t growing. There may be many reasons your fingernails have stopped growing. Do you do any of these? If you’re guilty of biting your nails on a regular basis, it’s time to stop, pronto! I mean it! This habit leads to multiple bacterial infections that slow down the growth of the skin and nails in that area. Try keeping your nails polished so that you make a conscious effort not to bite them. When you apply nail polish, make sure to not skip the base coat. This acts as a protective layer between your actual nail polish and the top layer of the nail. Avoid doing this at all costs! When you chip off nail polish, you’re most likely peeling off the topmost layer of your nail. This will only make your nails weak and brittle. If you go to the salon to get gel or acrylic nails too often, you’re not giving your natural nails the time to grow in strength. Gels and acrylics are great once in a while, but don’t make this a regular habit since they’ll affect the natural growth process. If you nip the chance of letting your nails grow in the bud, what chance will you have?! Biotin helps in the growth of nails, hair, and skin. 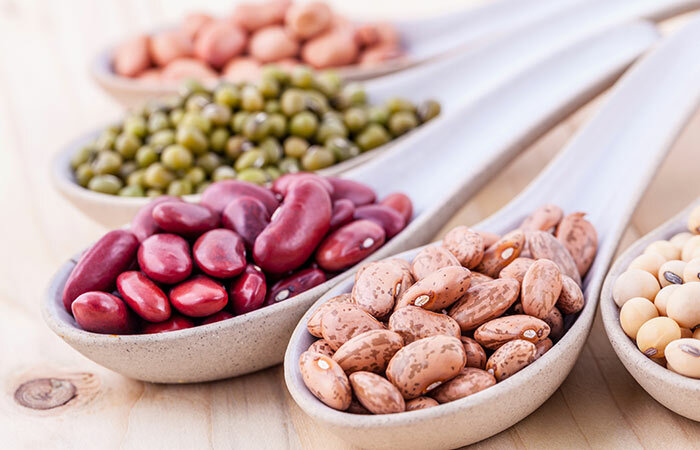 Biotin can be consumed either through foods or in the form of supplements. 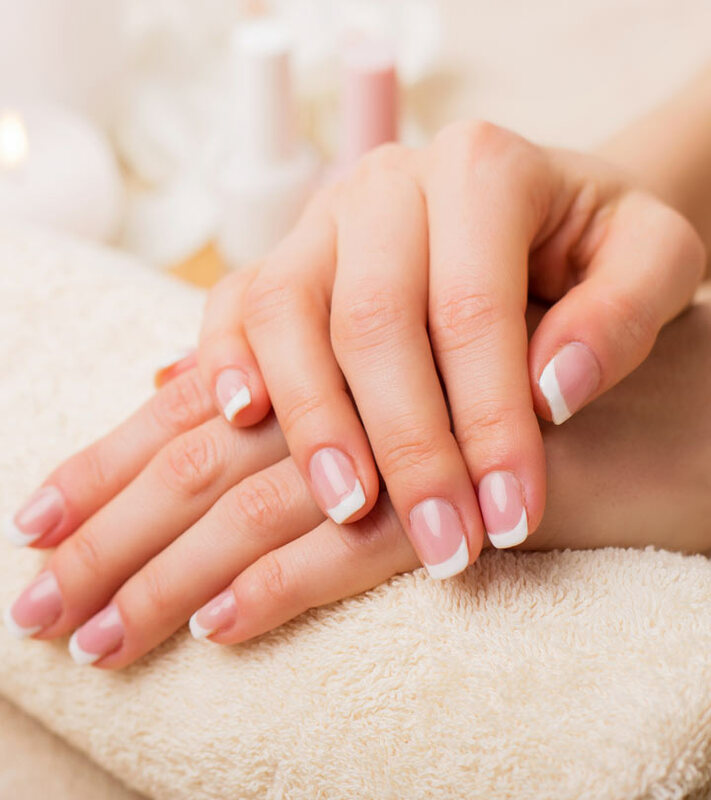 Either way, you would be required to consume around 30-40 micrograms per day to ensure healthy nails. 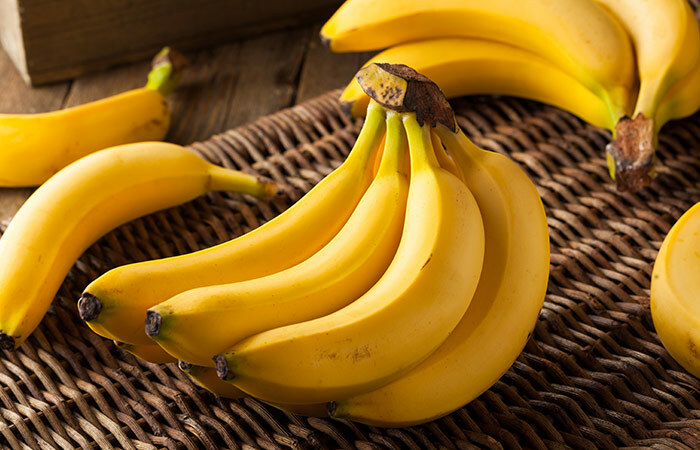 Biotin can be found in foods like bananas, avocado, and salmon. Vitamin B9 or folic acid is essential for cell growth. This means that it can help in the growth of nails as well. 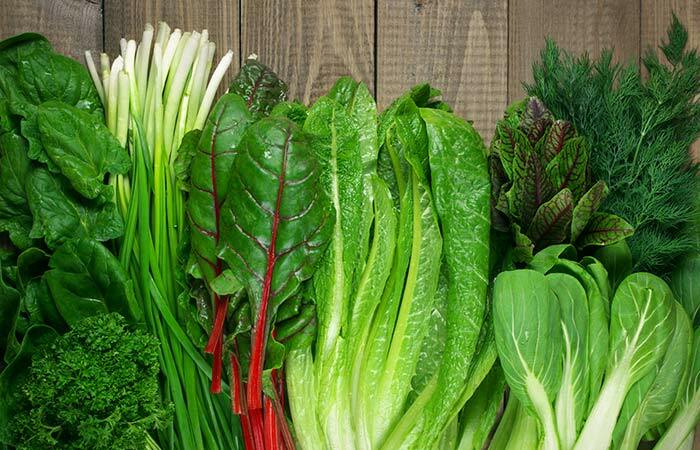 Folic acid can be obtained from foods like leafy greens, eggs, beets, and citrus fruits. In order to ensure and promote healthy nail growth, one must consume 400-500 mcg of folic acid. Vitamin A is vital for strengthening the tissues, bones, teeth, and nails. It is also a popular antioxidant. 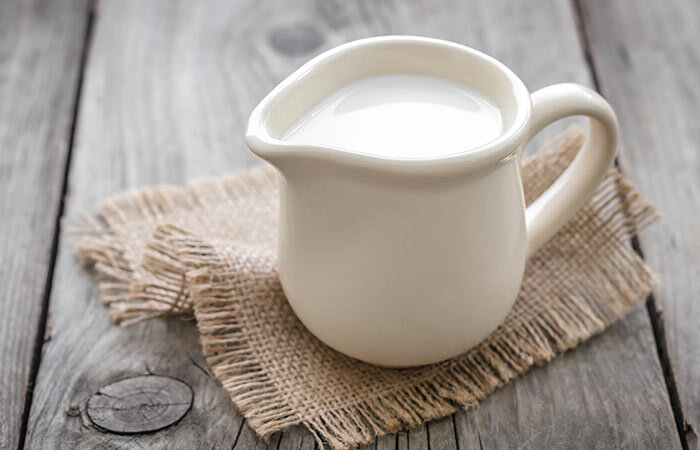 This ensures that the damage causing toxins are expelled from inside the body. If you prefer vegan options, vitamin A can be found in foods like grapefruit, spinach, yams, and apples. It can also be found in non-vegan and meat options like eggs, liver, and milk. Remember when your mom told you to eat oranges to avoid catching colds? Thar was for a very good reason. 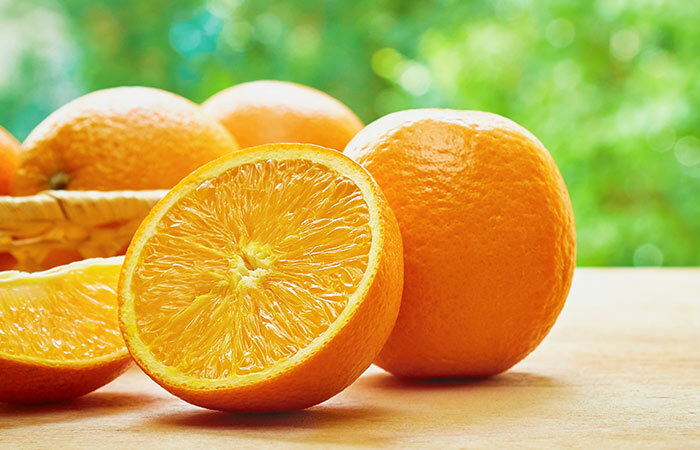 Oranges, or any citrus fruits for that matter, are rich in Vitamin C, which is great for combating bacteria. It is also a strong antioxidant. It is very important to consume foods that contain Vitamin C or take supplements, as the body does not produce this Vitamin. It can be found in blueberries, citrus fruits (oranges, limes, and lemons), tomatoes, leafy greens, and strawberries. The Vitamin C in lemons facilitate the healthy growth of nails. Lemons also help in removing yellow nail stains since they act as a bleaching agent. In a bowl, mix 1 tablespoon of lemon juice and 3 tablespoons of olive oil. Heat the solution for about 20 seconds in the microwave and soak your nails in it for 10 minutes. An alternative method would be to rub a slice of lemon on your nails for about five minutes before washing them off with warm water. 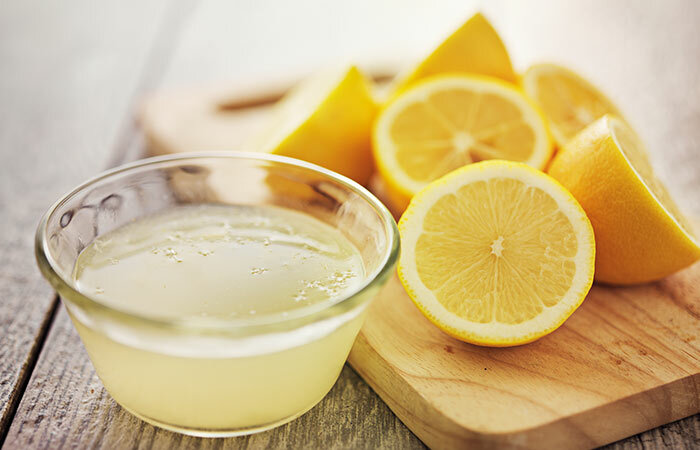 Tip – Don’t use lemons if you have any cuts or hangnails as it may sting. Coconut oil contains nutrients that provide moisture and nourishment for the nails and the skin around the nails. This, in turn, ensures healthy and strong nail growth. Coconut oil is also great for treating fungal infections in the nails. 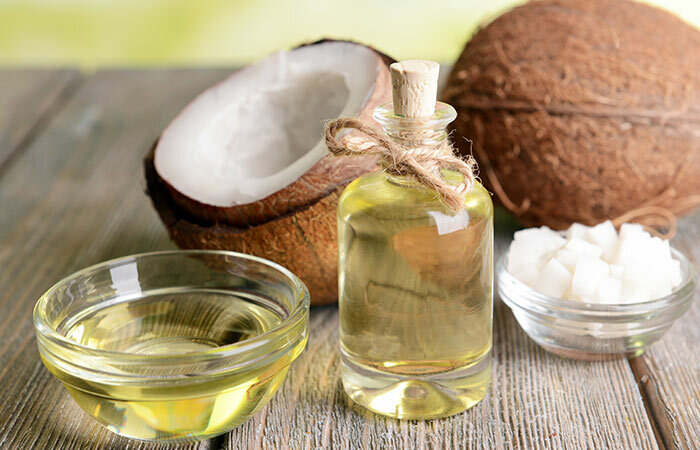 Warm up some extra virgin coconut oil in a bowl and massage it into your nails and fingers. Massage in circular motions. This will help in the circulation of blood, which will promote nail growth. 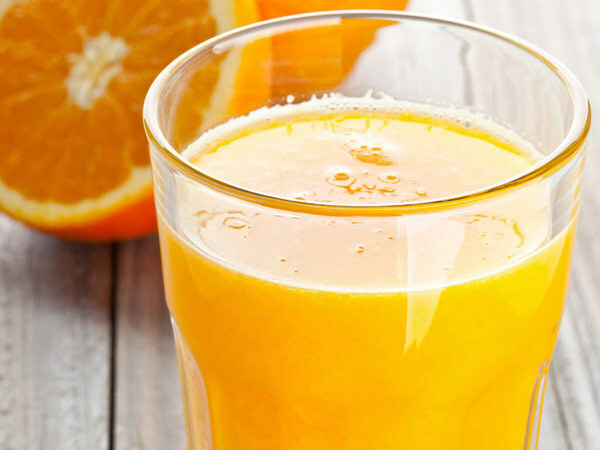 The Vitamin C in the orange juice can help in the production of collagen that keep your nails strong and healthy. Squeeze out the juice from an orange into a bowl. Soak your nails in it for 10 minutes and wash them. Don’t forget to moisturize them properly. In order to ensure that your nails are healthy and growing strong, it’s important to keep them nourished and moisturized. Olive oil contains Vitamin E, which improves blood circulation and facilitates nail growth. 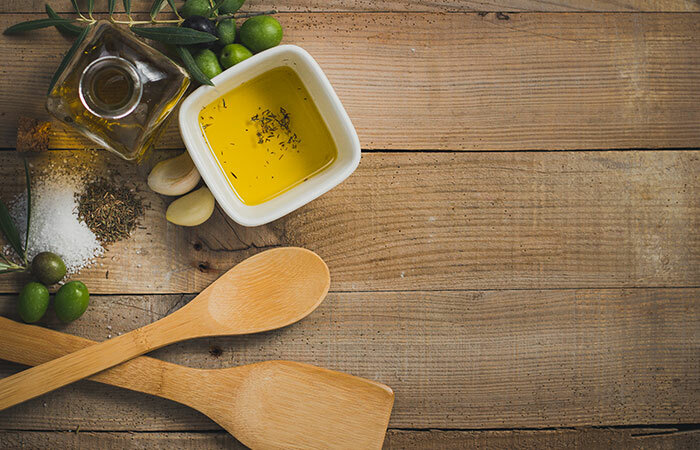 Heat up some olive oil and massage it into your nails and cuticles for about five minutes. Wear gloves and let it sit overnight. Alternatively, you can soak your nails in warm olive oil for fifteen to twenty minutes. Just topical treatments aren’t enough! Here are foods you should include in your diet if you want healthy and shiny nails. The protein found in eggs are crucial to development, making the bones in our body, nails, and hair much stronger. 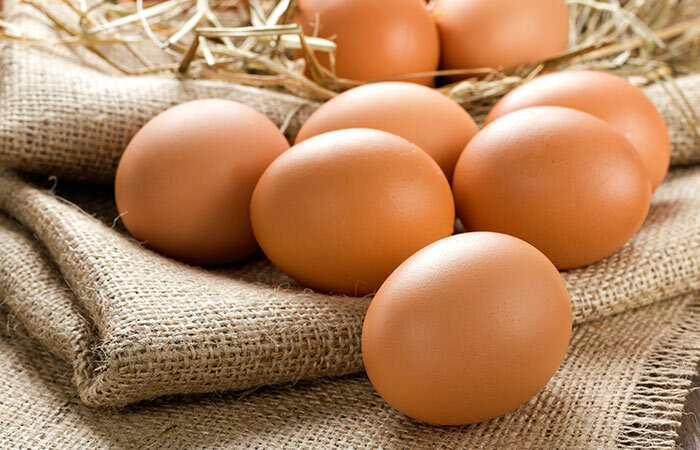 Eggs are rich in Vitamin D, B12, and Biotin. Biotin does wonders for strengthening the nails and making them less brittle. Again rich in biotin, beans are great for helping in the growth of nails. During a study, it was found that if biotin-rich foods were consumed, the nails’ thickness increased by about 25%. So try and incorporate beans into your daily diet. Minerals like copper and zinc are vital for the maintenance of bones and nails. These can be found in oats. 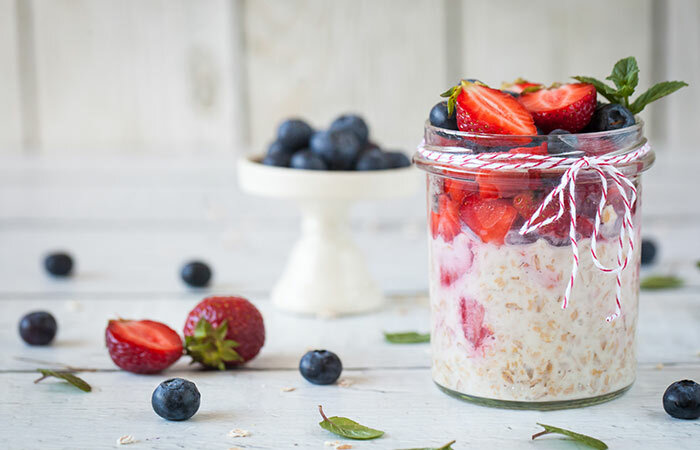 It’s really easy to incorporate oats into your daily diet. Simply switch your bowl of cereal with a bowl of oatmeal with some fresh fruit! 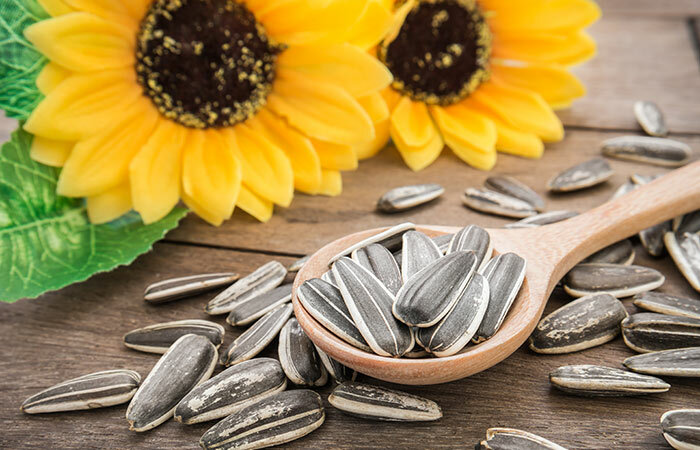 Sunflower seeds are a powerhouse of nutrients. Containing minerals like copper and manganese, they encourage the production of connective tissues in the bones and cartilage. They can be sprinkled onto bread, salads, or on just about anything! This one’s for the ones who love their fair share of seafood. 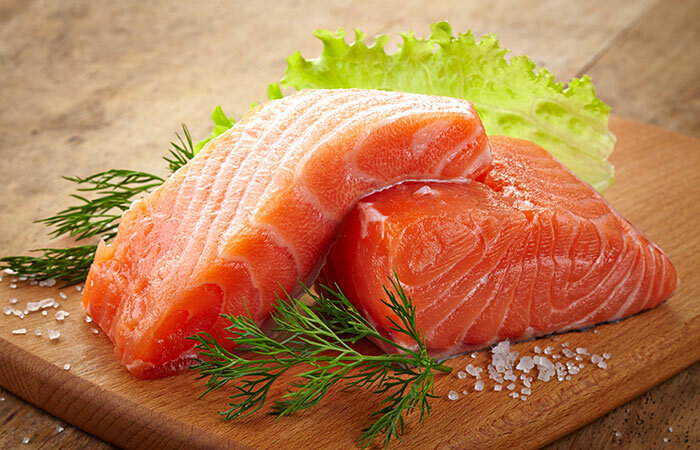 Salmon contains nutrients that are supposed to make the bones and nails strong. Salmon also contains Vitamin D, which is crucial for the growth of bones. There you are! That’s all there is to know about why your nails aren’t growing and how exactly you can grow them faster and stronger. Eating the right foods and taking care of your nails really do make the hugest difference. 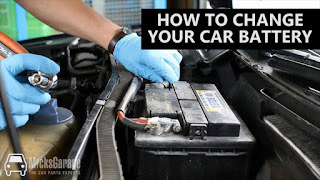 So, follow these methods and let us know how they worked out for you.